The Boarding Schools’ Association (BSA) Conference for Heads is the UK’s only, largest and longest-established boarding-focused event for boarding headteachers. This year’s conference explores the theme of ‘Building Character’, focusing on how boarding is ideally positioned to develop ‘soft skills’ and provide much more than academic support, it gives the foundations of a pupil’s character. With a wide range of speakers – from current headteachers to experts in safeguarding, international entrepreneurs and former members of government – the conference will afford delegates varied insights and practical advice. The conference will be chaired by Nick Wergan, headmaster of Steyning Grammar School and BSA Chair 2019. “Our theme for this year’s BSA Heads Conference is ‘Building Character’,” said Nick. He continued: “I believe boarding can uniquely equip pupils with the strengths of character needed to ensure deep academic success, and more importantly to flourish as young adults. “The structures, pastoral support and enrichment opportunities boarding provides enable pupils to develop the growth mindset, grit and self-control to achieve their full potential, and to learn the curiosity, zest and optimism to be truly happy. One of the headline speakers for the conference is Jonnie Noakes, director of teaching and learning at Eton College, and director of the Tony Little Centre for Innovation and Research in Learning. Co-presenting with the centre’s researcher-in-residence, Dr Iro Konstantinou (PhD), Noakes will be discussing mapping character in boarding schools. On his session, Noakes said: “Our talk will address the growing debate about the importance of teaching ‘character’ in schools. What is meant by the term ‘character’? What might serve as a working definition for schools? What does the existing research literature say about what it is and how it can be taught? 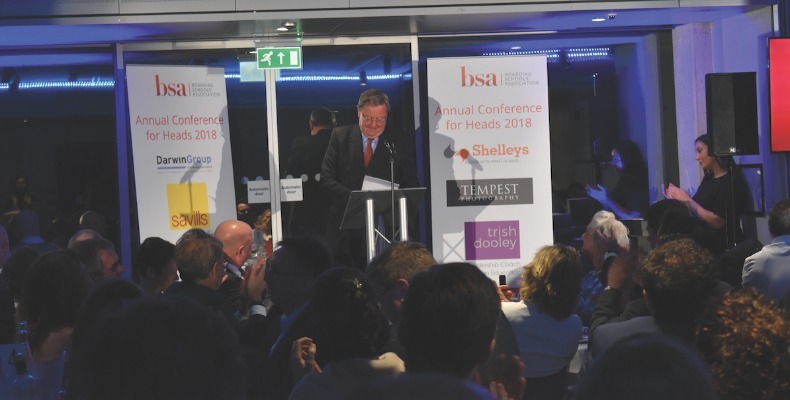 Concluding with the BSA Annual Awards Dinner, held on the final night of the conference, the BSA and delegates will celebrate the achievements, hard work and dedication of schools and individuals to boarding. The only boarding-specific awards for the UK, the recipients will represent the best of their particular fields.